Step 1: Locate the path between the Leasing Office and the Lady Quackenbush’s Cakery on Simond Ave. 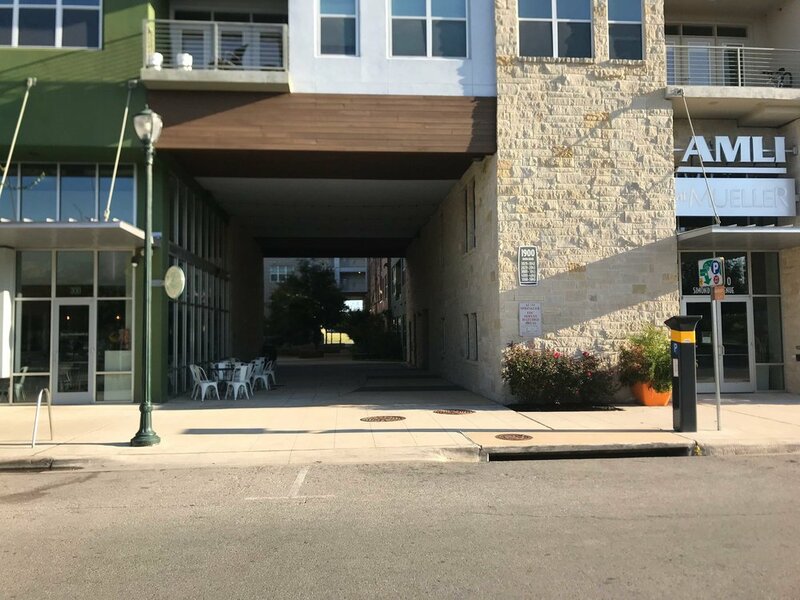 The path is directly between the two buildings, to the left of the leasing office. Walk down the path to the glass door on the right hand side. Please use this door! Step 2: Enter the building. Use the 4-digit Building Access Code. Enter the code on the callbox to the left of the door. It'll unlock once accepted. Step 3: Proceed to your apartment. Open the door to the building and head down the hall until you get to the elevator on the right hand side. Take the elevator up to your floor and follow the room numbers to your apartment. Step 4: Enter your apartment. Key property information and your access keyfob are located on the counter. 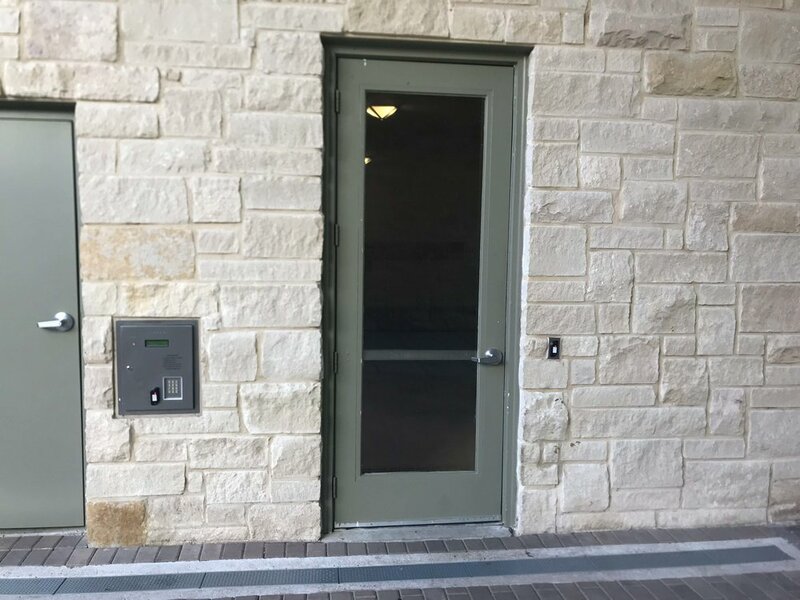 Use the access fob for the pool, gym and clubhouse (located at the front of the building towards the leasing office) as well as the parking garage and other building entrances. Step 2: Park temporarily to collect your pass and keyfob from the apartment. 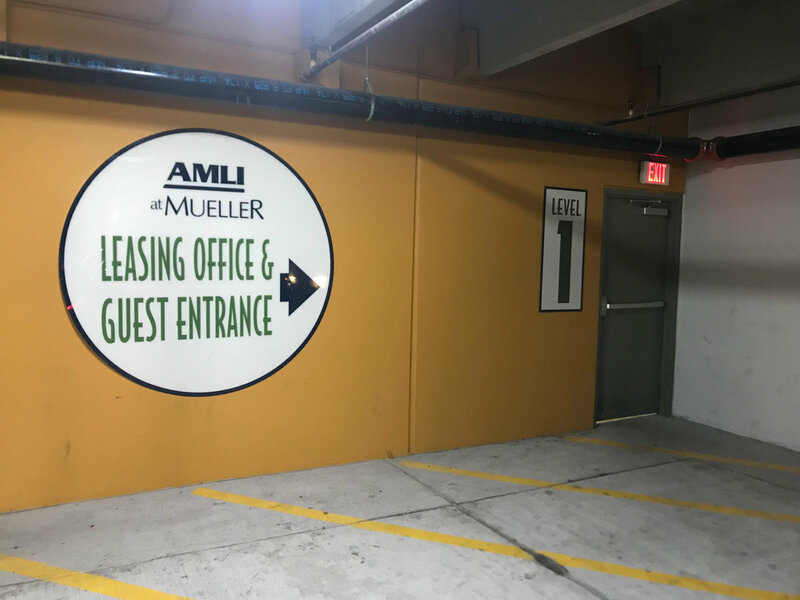 Follow the sign that says “Leasing Office & Guest Entrance” and enter the door to the right of it next to the garage Level 1 sign. This will lead you to a stairwell with the same “Leasing Office” sign. Open the door immediately to the right. Once in this hallway make a left and head straight to the metal door and call box. Step 4: Enter the building. Use the 4-digit Building Access Code. Enter the code on the callbox to the right of the door. It’ll unlock once accepted. Step 5: Proceed to your apartment. Step 6: Enter your apartment. Step 7: Collect the access fob and parking pass. Return to your vehicle. We hope you've had a great stay! Leave key fobs and parking passes in the apartment when you leave. The garage will open with a sensor on your way out. 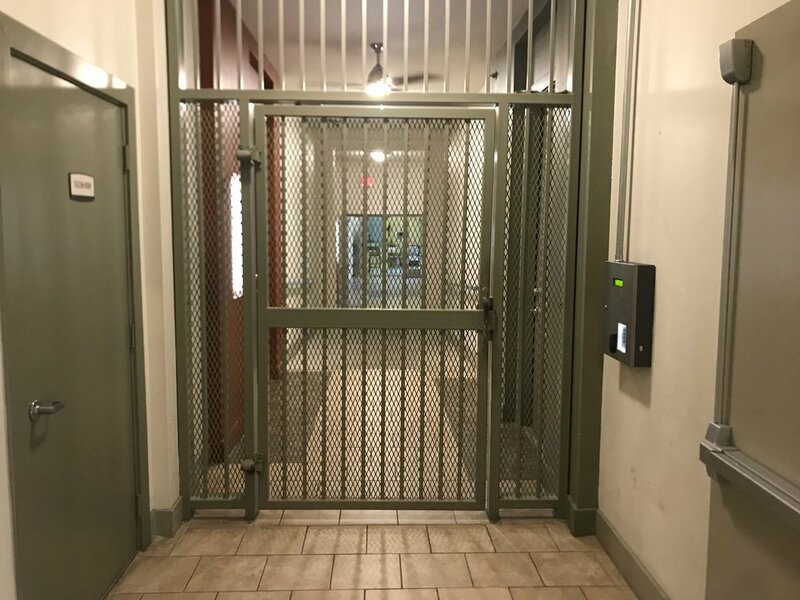 Should you need to bring luggage down and come back to the apartment, you can always use the Building Access Code that you entered to use the elevator when you arrived!